Getting tattooed is definitely a unique experience. It's hard to describe - it feels like a combination of being scratched and bruised. Sometimes it doesn't hurt at all. If you're lying in an awkward position, the body part being tattooed can go numb! Personally I love the experience. The pain is all part of the process and it can often be quite spiritual. And of course some areas are more sensitive than others. My arms were relatively pain-free, but halfway through getting my thighs done was torture! Overall, I think you have to embrace the sensation of getting a tattoo. If it hurts, it makes the end result all the more worthwhile. 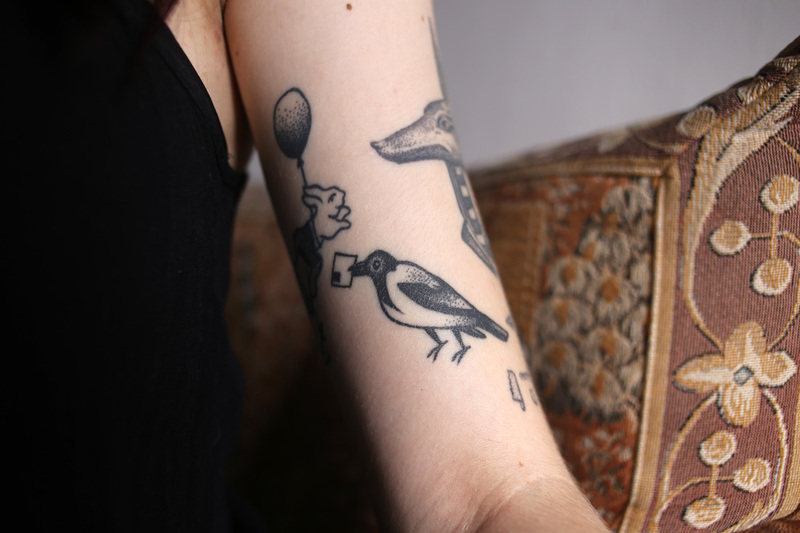 I would describe my collection of tattoos as eclectic. Initially, I felt like I always had to attribute some really deep, personal meaning to my tattoos, but recently I don't feel pressured to have to justify why I got them. 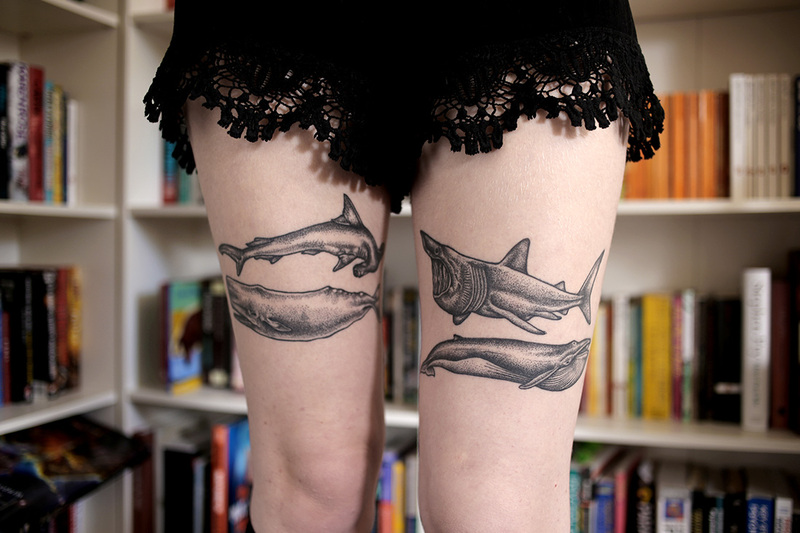 However I do spend a long time considering what tattoo to get next, and they are all significant to me in some way. Some, like my Anubis, are dedicated to loved ones, and others are a representation of a part of who I am. Despite being quite an eccentric mix of subject matter, all my tattoos are similar in their blackwork and intricate lines. When did you first start thinking about getting a tattoo? I can remember talking about getting tattoos with one of my friends when we were about 14. I don't think I was really serious about the whole thing though, and didn't really place much meaning behind the tattoos I wanted to get. It was only once I moved up to London aged 18 that I seriously contemplated getting inked. Are tattoos present in your family or are you the first person who has tattoos? So far I'm the only person in my family to have tattoos. My mum has always toyed with the idea of getting one, but has never gotten round to it! 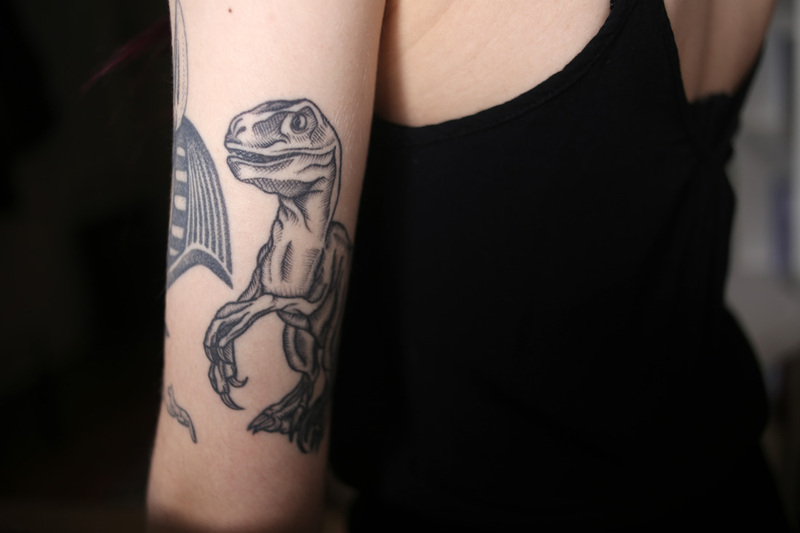 Do you have a favourite tattoo or does it change over time? 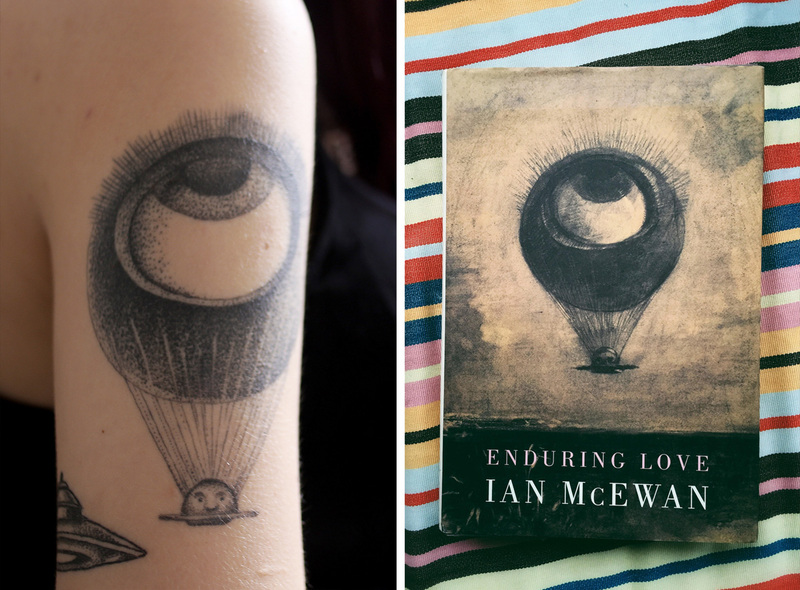 My favourite tattoos definitely change over time! 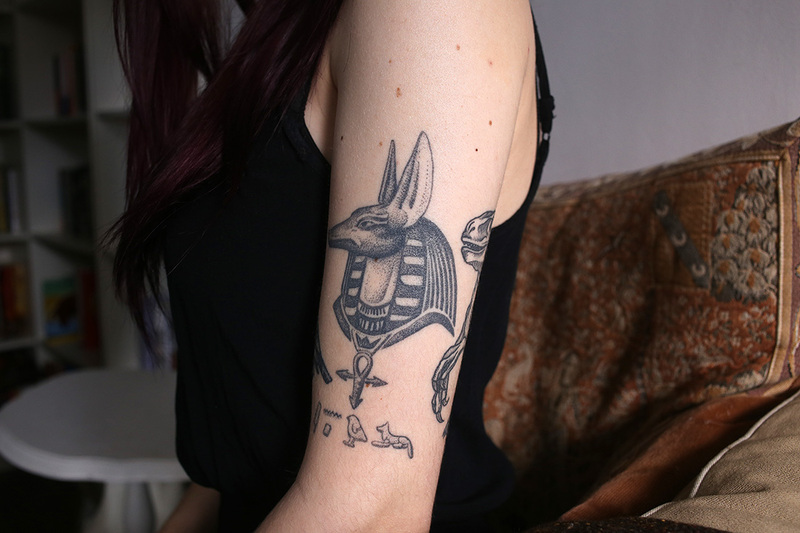 Usually it’s the most recent tattoo, but I'll always have a fondness for my first one - my Anubis. Other current favourites of mine are my velociraptor and my whales and sharks! 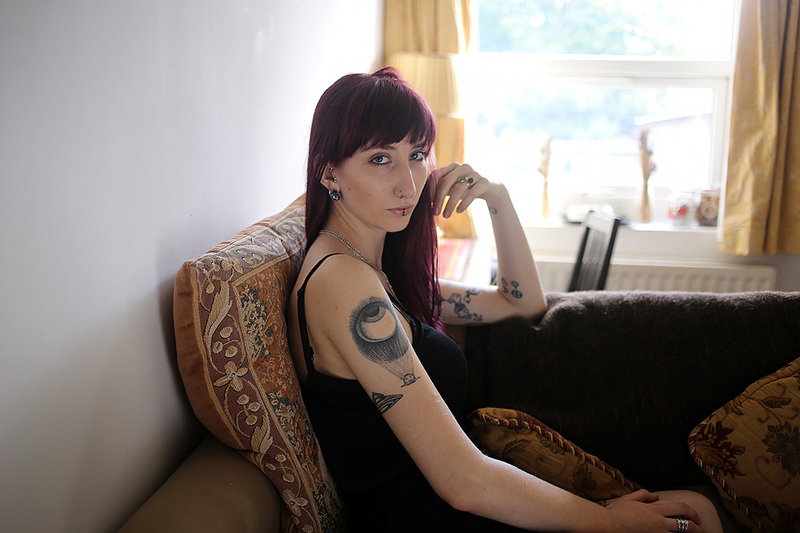 Do you think society regards women with tattoos differently to how it views men with tattoos? Is this something you've experienced? I definitely think women with tattoos are viewed differently to tattooed men. 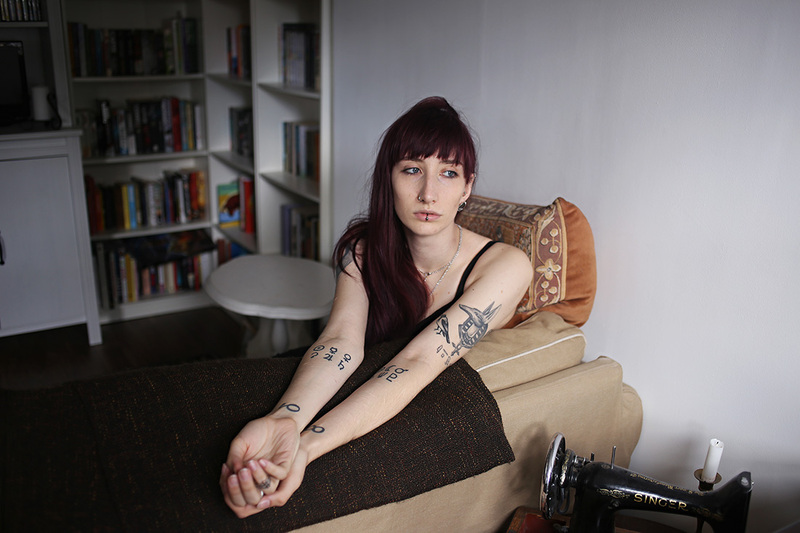 I feel that tattooed women are sexualised as some sort of 'alternative' fetish, whereas it seems to be a social norm for guys to be heavily tattooed. Quite often people comment that “surely I've got enough tattoos now”; as if the more tattoos I have, the less 'feminine' I become. I know a couple of male friends who have more delicate tattoos and they've faced just as much criticism from society. To me, tattoos should not be a mark of masculinity, but whatever the bearer wants them to represent.